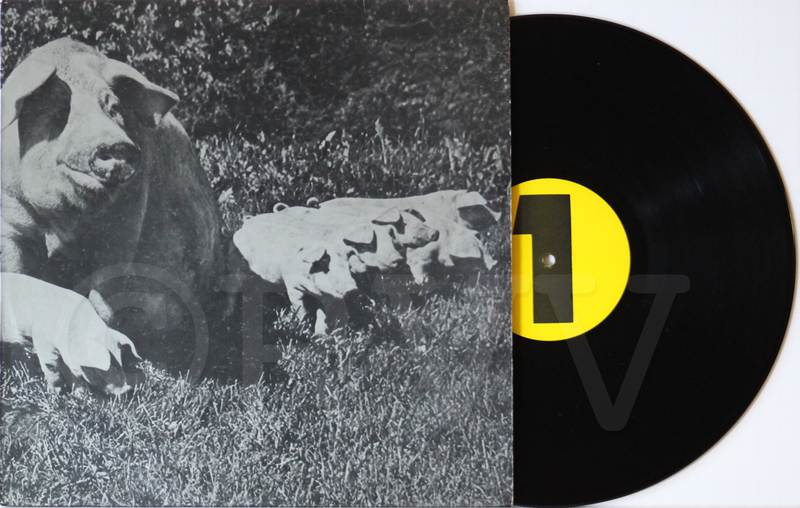 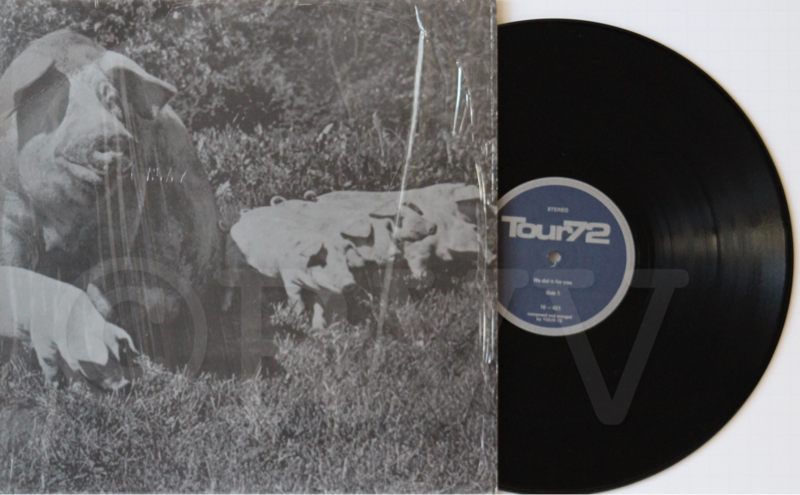 Notes​: European bootleg that was pressed in substantial quantities and reissued several times. 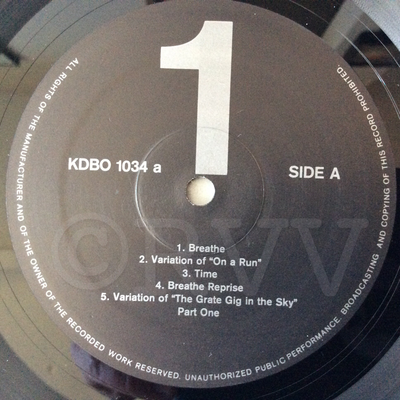 Version 1: This is the original pressing and is harder to find than later reissue copies. 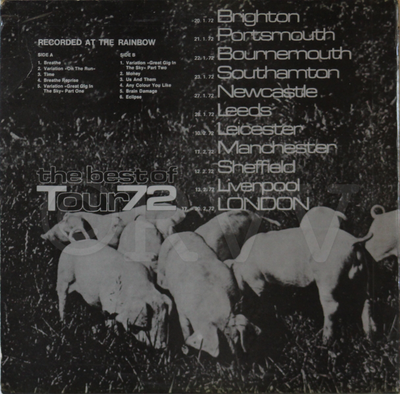 No title on the front cover and no song listing on the back cover. 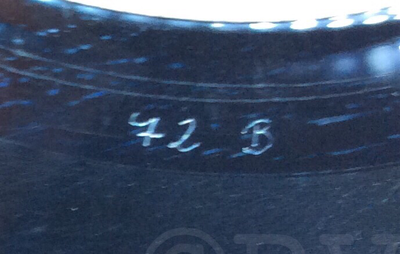 Blue and silver labels. 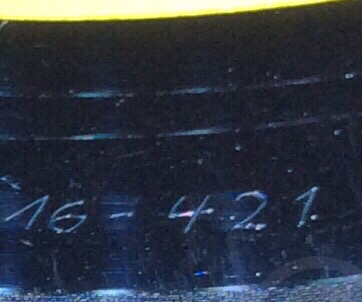 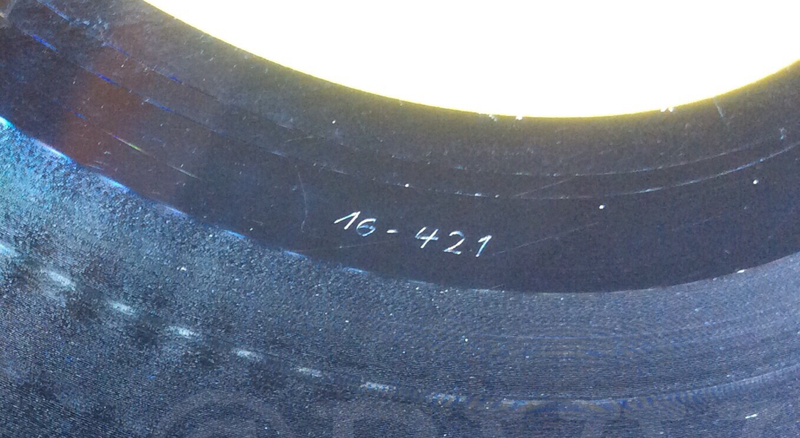 The matrix numbers are unique in that the number 2 has a distinctive curl at the top. 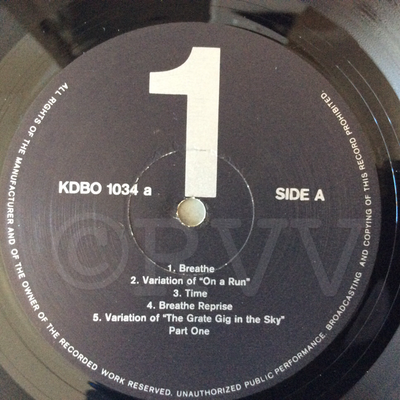 Version 2: Like version 1, this copy has no title on the front cover and no song listing on the back cover. 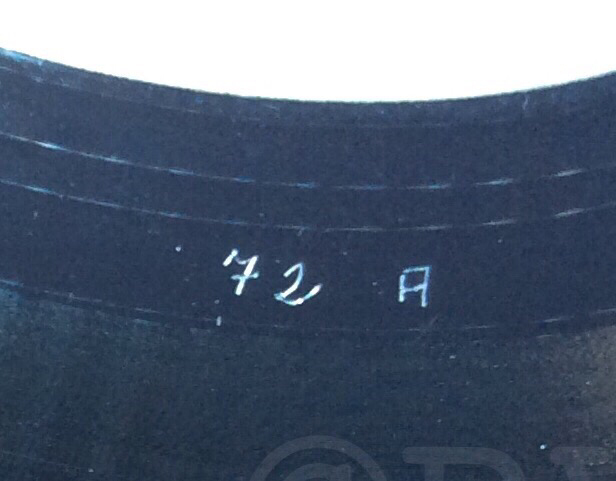 The matrix number is the same but much smaller and different writing (the number 2 does not have the same distinctive curl). 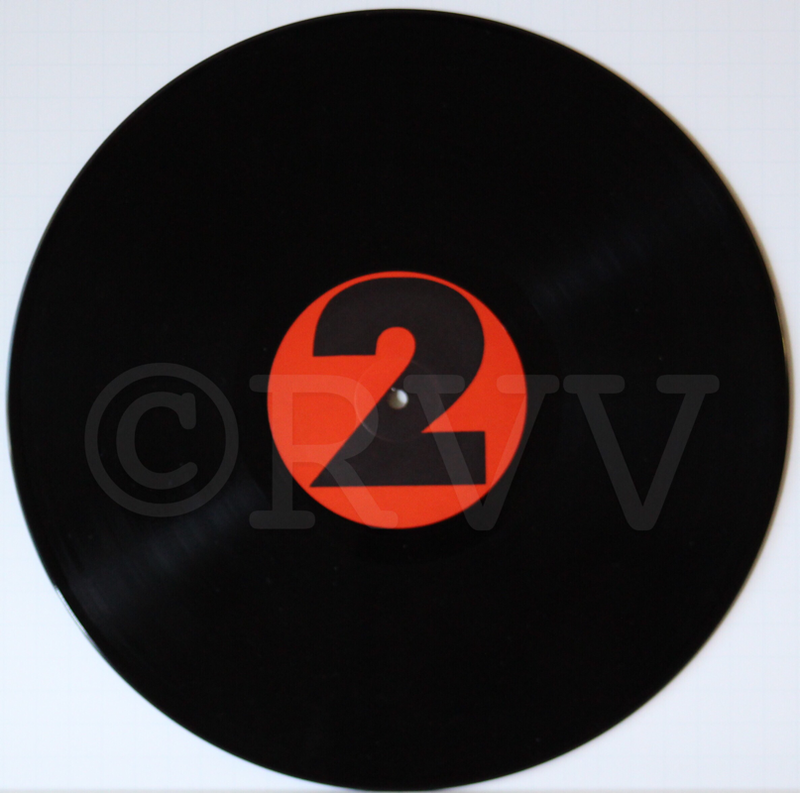 Yellow and red labels with a large "1" and "2." 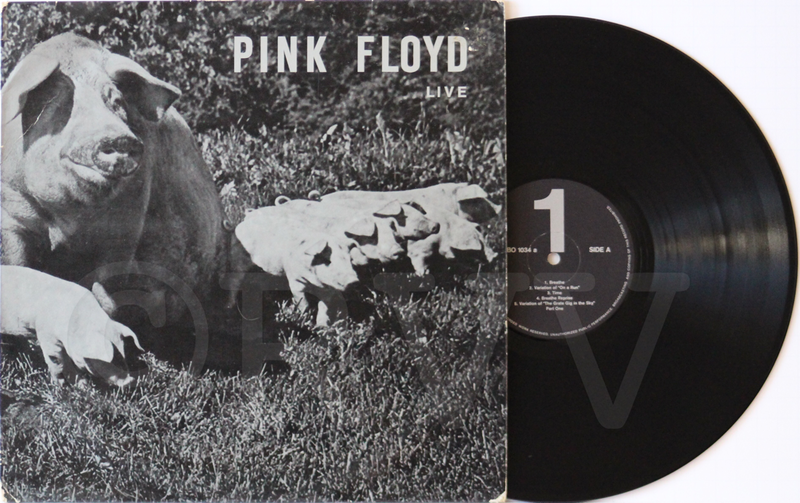 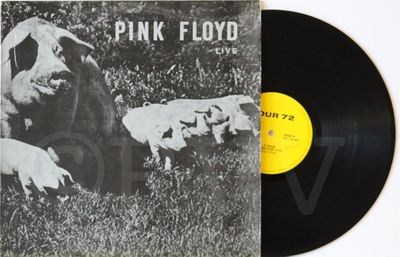 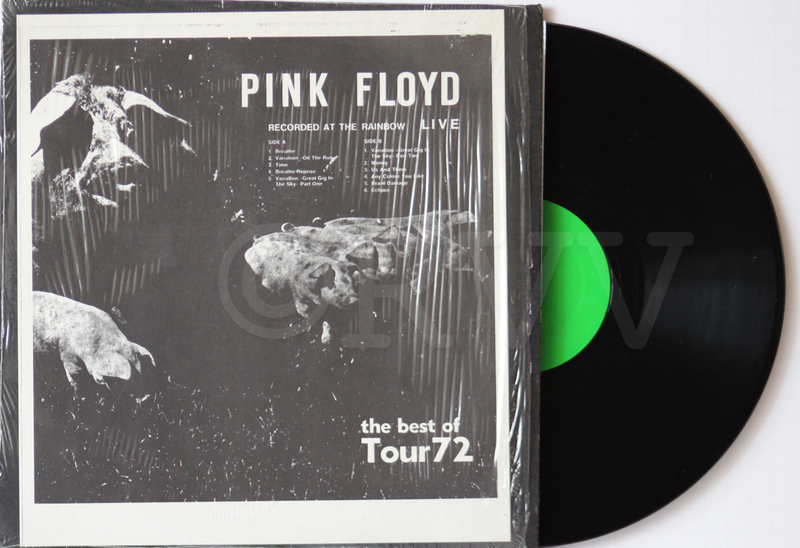 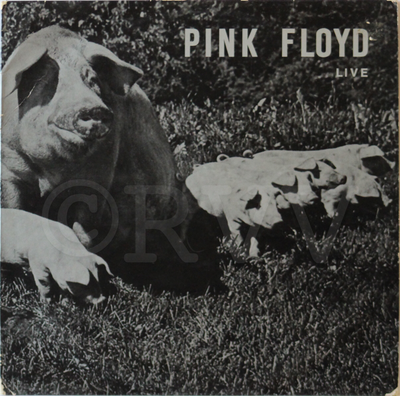 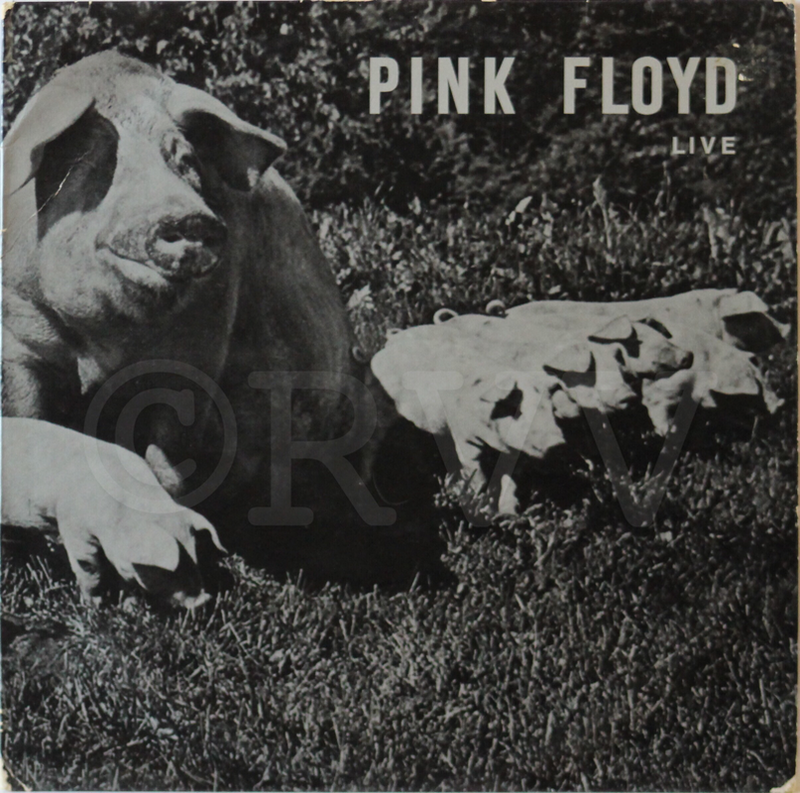 Version 3: "PINK FLOYD LIVE" has been added to the front cover and a song listing has been added to the back cover. The cover image is darker and less detailed than other the other versions of this record. Same matrix as Version 2 (same size and writing too). 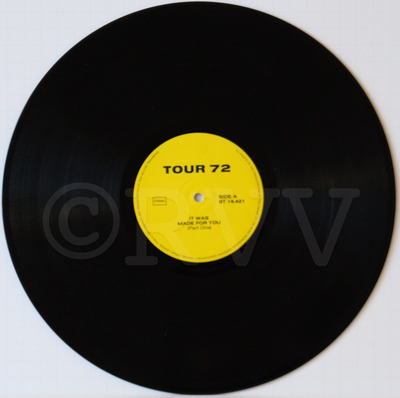 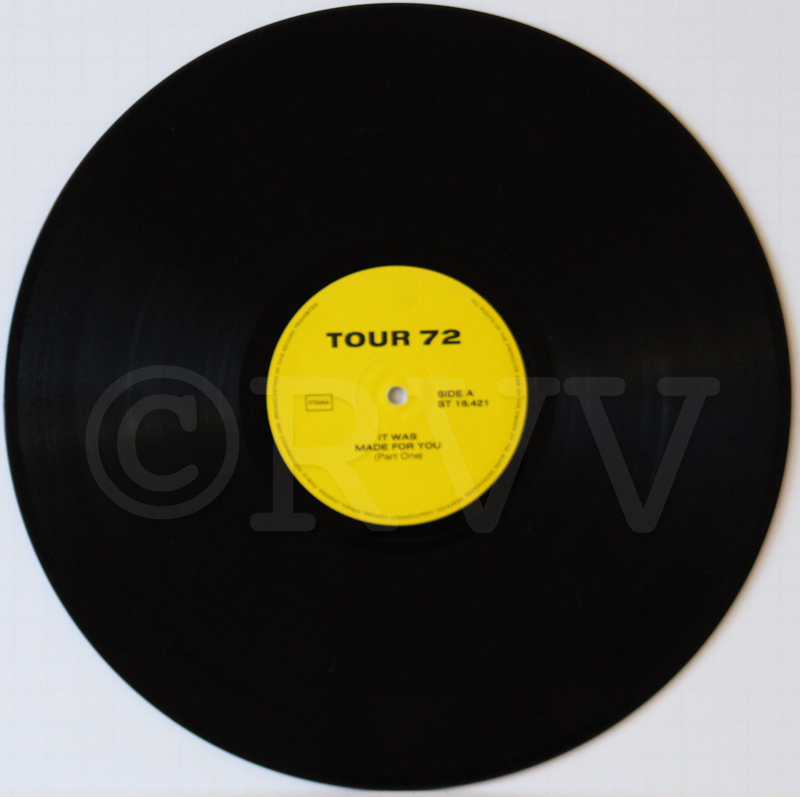 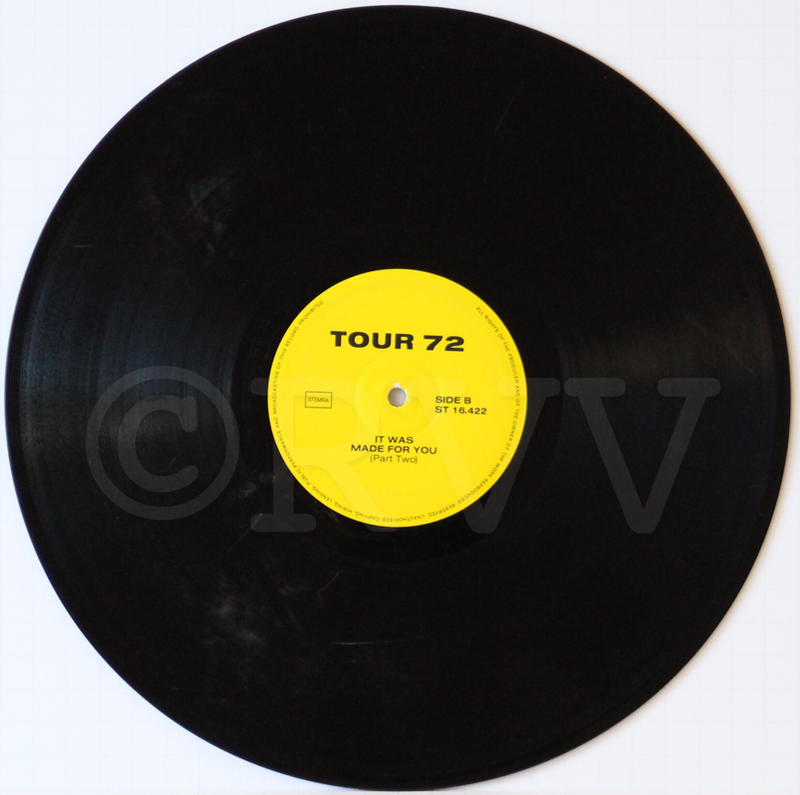 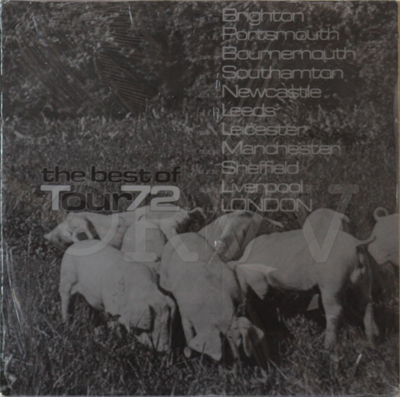 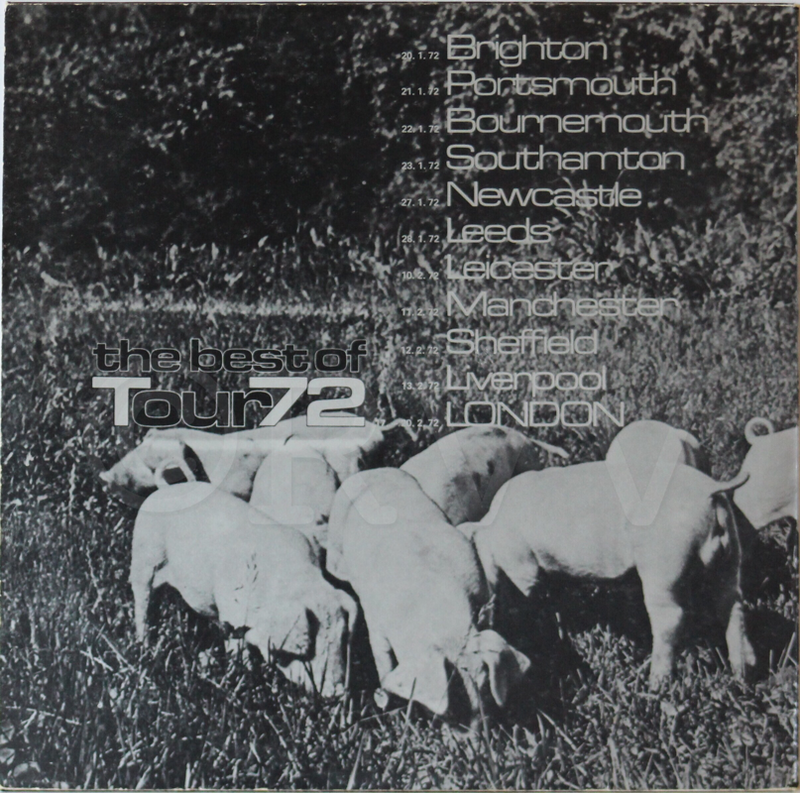 Yellow "Tour 72" labels. 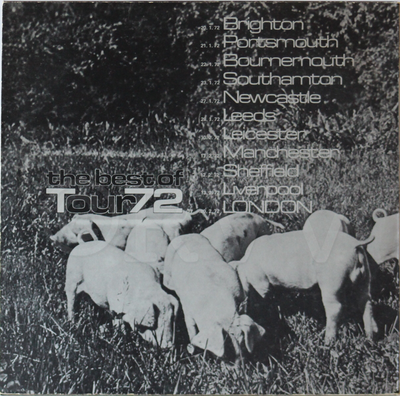 Version 4: Same cover as version 3 but with new matrix numbers: 72 A and 72 B. Black and silver labels with the KDBO 1034 a/b designation. There are at least two pressings of this record. 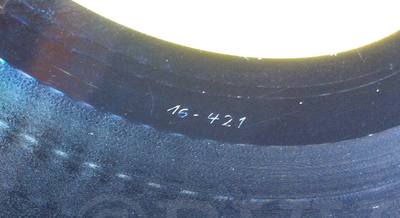 The first has a lighter colored cover and a ridged pressing pattern under the label. 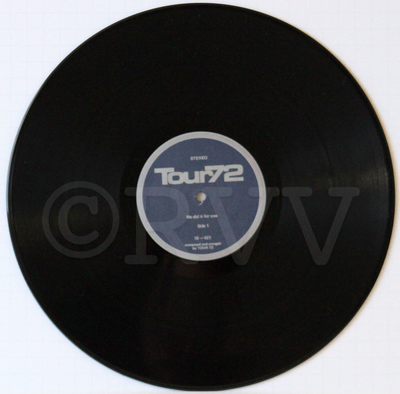 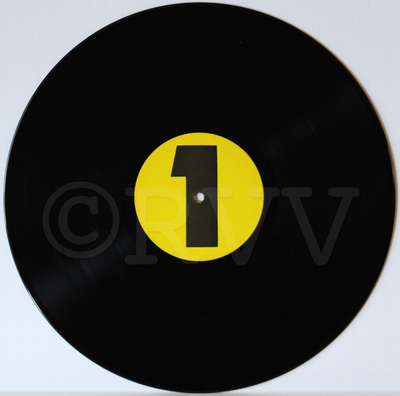 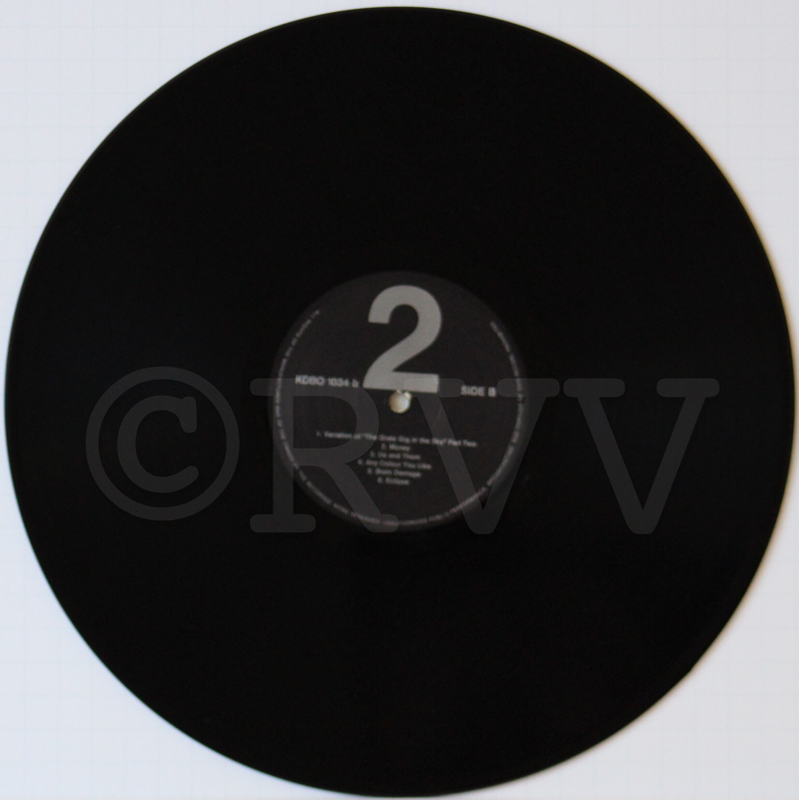 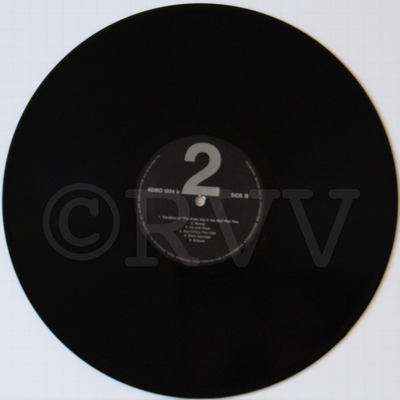 The second has a slightly darker cover and the label is flat on the record (see pictures below). 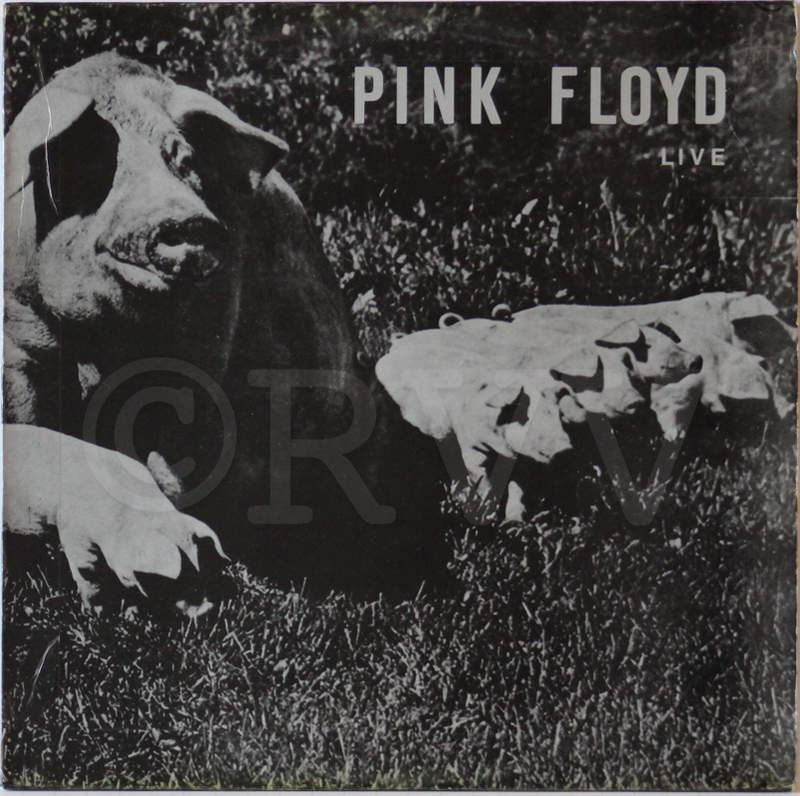 Version 5: This is a U.S. reissue with plain green label and an insert cover. 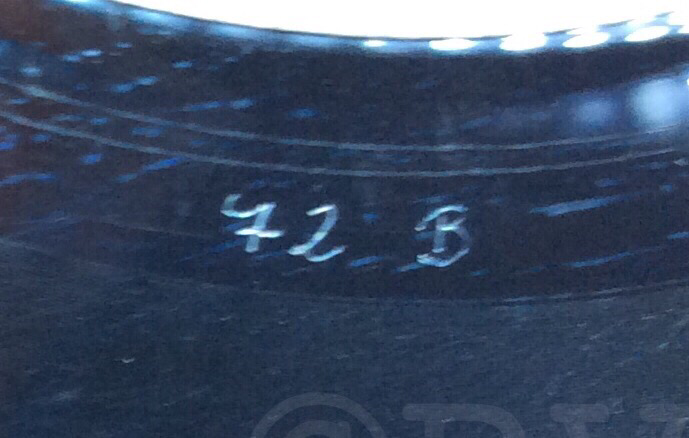 This copy has a completely different matrix numbers: PF-R72-A and PF-R72-B.